Henry Cavill is Superman. Ben Affleck is Batman. Gal Gadot is Wonder Woman. Those are the three superheroes we know about that will be showing up in Zack Snyder's upcoming Batman vs. Superman, but the list just seems to keep growing. We've been hearing rumors for months and months about more heroes joining in on the fun and today it appears we might have confirmation: it looks like Cyborg will be in the Man of Steel sequel. The trade notes that the character won't have a big role in the movie, but notes that his inclusion is another step towards a future Justice League movie. In addition to the actors mentioned above, the Batman vs. Superman cast also includes Jesse Eisenberg as Lex Luthor, Amy Adams as Lois Lane, Diane Lane as Martha Kent and Lawrence Fishburne as Perry White. While Cyborg was first introduced in DC Comics back in 1980, we can probably expect that the big screen adaptation will adhere to the character's origin story established in the New 52 continuity that started a few years ago. Born Victor Stone, Cyborg was originally a high school football star who - despite all of his best efforts - can never get the attention of his father, who is a scientist at S.T.A.R. Labs. After winning a big game that his dad didn't show up to, Victor goes to his father's lab and confronts him. During the argument, an explosion occurs and Victor is left clinging to life by a thread. Victor's dad and the other surviving scientists in the lab repair the young man using every piece of advanced technology available to him, and upon waking up Victor becomes Cyborg, a new superhero. 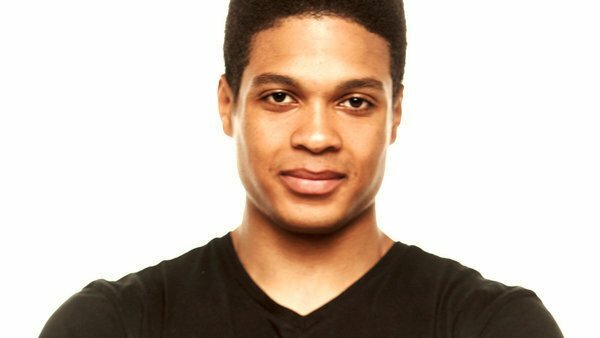 Interestingly enough, Ray Fisher was also one of the actors who was rumored to be up for a role in J.J. Abrams' Star Wars: Episode VII. One can imagine that if he is indeed confirmed for Batman vs. Superman that he might not be able to do the sci-fi space saga as well. Variety notes that Batman vs. Superman is already in production up in Michigan, with the film aiming for it's targeted May 6, 2016 release date (the same weekend as Captain America 3). The film is using a script written by Academy Award winning Argo screenwriter Chris Terrio based on a story developed by David S. Goyer and Zack Snyder. Stay tuned for more news on this development as it breaks!